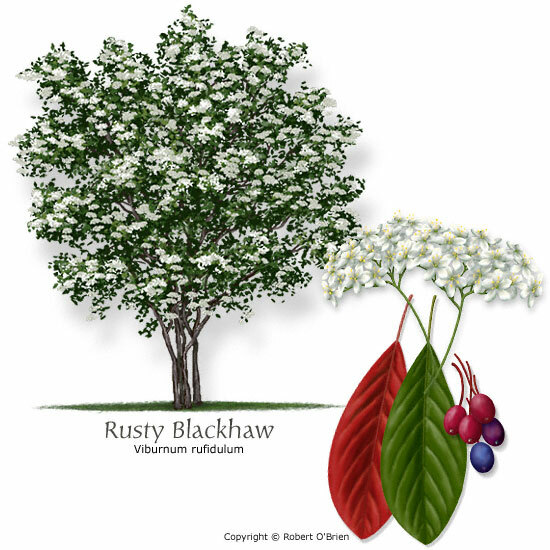 Features: Glossy leaves turn bright red in the fall; white flower clusters develop into blue fruits. Comments: Excellent specimen tree with few problems. Showy flowers. Needs good drainage.